It’s Parkinson’s Awareness Week 20-26 April. And Parkinson’s UK are challenging you to #upyourfriendly. An estimated 69,000 people in the UK with Parkinson’s have experienced hostility and rudeness from members of the public – according to data released today by Parkinson’s UK on the launch of Parkinson’s Awareness Week. The figures reveal a huge number of people with Parkinson’s have come up against public misunderstanding – a third (32%) of people with Parkinson’s have been stared at, a quarter (25%) have had symptoms mistaken for drunkenness, and 1 in 10 (11%) have been laughed at because of their symptoms. The report also revealed the knock-on effects of public humiliation on people with Parkinson’s. Almost 1 in 5 (19%) who had experienced discrimination and negative reactions would rather skip a meal and go hungry than venture out to the shops, and 15% admitted they feel trapped inside their homes because of these reactions. To combat this, throughout Parkinson’s Awareness Week (20–26 April), Parkinson’s UK is urging people to ‘up your friendly’, by pledging to do small acts of kindness that can make an enormous difference to the lives of people with Parkinson’s. In our area, we have a dedicated Community Parkinson’s nurse who is available to support you. 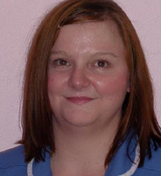 Carrie Bull is our Parkinson’s Nurse and has been in post since August 2014. Carrie is based at Park House Medical Centre in Carlton but covers the Nottingham North & East CCG patch (Gedling, Hucknall, Jubilee, Eastwood and Giltbrook). Support Parkinson’s patients to live as independently as possible, for as long as possible in their own home. Support patients to be able to better manage their own care. Complete a medical review for patients. Communicate on your behalf with your GP, Consultant or other specialists. Refer a patient to specialist services such as occupational therapists, community rehabilitation services, palliative care team etc. Reduce the length of stay for patient in hospital.